Rhonda Fields is the Executive Director of the Girls on the Run of Southeastern Michigan. In this episode, she and Deb discuss the transformational effect that participation in athletics has on a girl, how teamwork opens one’s perspective of the world, and the joy she experiences when witnessing one of her girls crossing the finish line. 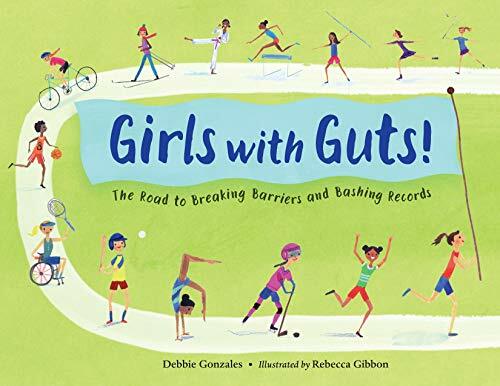 In this episode Deb and Lisa engage in a thoughtful conversation about body image, the mind-body connection, the transformational effect athletics has on girls of all ages. As a teen coming-of-age on the cusp of the passage of Title IX, Lisa shares how her life-long love of sport has served to be salvation for dark times in her life. Lisa is a national board certified professional health and wellness coach, yoga instructor, and personal trainer. She’s dedicated to assisting her clients in achieving their health and wellness dreams and creating sustainable, positive and strength based super powers of joyful living. Lisa’s a licensed exercise physiologist, certified personal trainer, cancer exercise specialist, yoga instructor, and certified running coach who lives and works in Ann Arbor, Michigan.